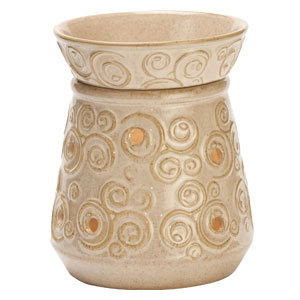 Bits of Splendor: Scentsy Giveaway! I am a bit obsessed with candles, plug-ins, scented oils... I LOVE all of it. Especially candles. I always have one going. I just love the coziness of a candle burning, but I've yet to find one that really lasts. I'm sure you've heard of it. If you haven't, it's basically a safe, wickless alternative to a candle. It gives off that nice glow like a candle and the scent lasts forever! I have my Scentsy going every day. It's part of my morning routine: Inject caffeine, turn on scentsy warmer. With the "You Go, Girl" scent bar. It smells so fresh and springy and goes through my whole house! 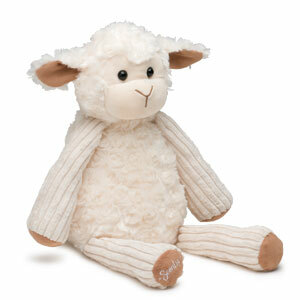 They have some fun products like this little lamb that would be perfect for a baby or toddler room! I have this one in Mia's room with the "newborn nursery" scent bar. It smells like baby powder! I LOVE it! So guess what, my sweet friend Monica has decided to bless one of my readers with a warmer of their own! 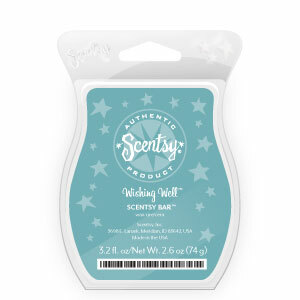 And a "Wishing Well" Scentsy Bar to go with it! "A pool of fresh rainwater, with soothing water hyacinth and subtle green fern"
1. You must first be a "follower" of this blog- if you aren't yet, just become one and let me know! If you happen to purchase a Scentsy product, PLEASE go through Monica's site! Let's show her some love for this giveaway! You can order it through her page and have it shipped directly to you!! Have a happy weekend Y'all!!! *Edited to Add--- blogger is having issues today so if you tried to leave a comment to enter and couldn't do it, try again! Giveaway ends Wednesday!! My favorite Scentsy bar is Carrot Cake AND Baked Apple Pie. It is posted on my wall. My favorite Scentsy scent is the Enchanted Mist. LOVE. It is posted on my blog. Not that I have any readers,but I did do it! I am a follower of your blog and shared this post on my page! 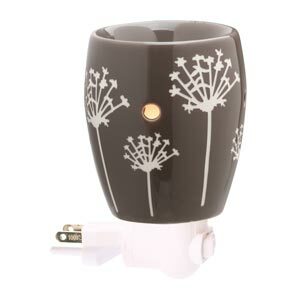 I love the Army warmer,and well, I like all the scents! I like the Milano full sized warmer. I posted the giveaway on my fb! I can't decide on a scent, but anything with a clean smell, cinnamon base, or tropical scent is good with me! Clean for bedroom, tropical for bathroom, cinnamon for living area! I'm posting on my blog now, with a couple other giveaways, go check them out! my favorite holder is the cherry blossom, itd match my living room great, sadly never owned any of the products so dont know the smells. I shared in my FB page!!!! Im a faithful follower of this wonderful blog. My favorite thing right now is that cute little lamb with the baby powder scent! 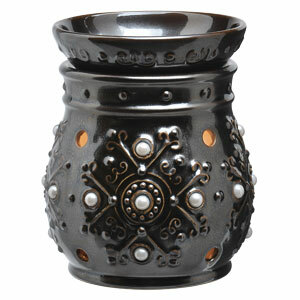 i have the "Faith" full size warmer, my favorite:) it's so pretty! and gave the "Hope" waremer to my best friend as a gift!!! love them both!!! my favorite scents from monica's page are echo and thunderstorm. i have a few different scents at home that i love as well, i think its called spring cleaning, and the one w the plum. So many great warmers and scents! I think my favorite scent is Blueberry Cheesecake (one of them anyway!). My favorite warmer I think is the Autism warmer, which I have and LOVE! My favorite is the Lamb scentsy buddy! my fave item is the grotto plug-in warmer!!! FUN!! I think I would love the Pomegranate scent! I haven't tried scentsy yet and would love too!